These are by far my favorite roll! 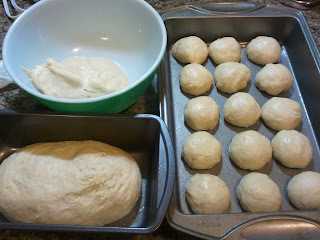 They do take me a little more time than my regular yeast bread recipe but very worth it. This recipe makes alot. That's okay. 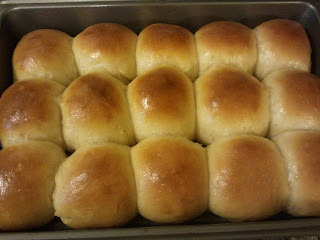 The rolls can be popped in the microwave for a few seconds the next day or two and taste just as good. Or....take part of the dough and fry it. YUM!! 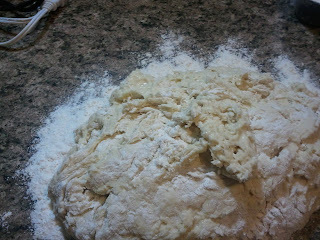 I usually end up with 15 rolls, 1.5 pound loaf of bread and plenty of fried bread from this recipe. I haven't tried freezing the dough, I might do that soon. I will let you know how that turns out. 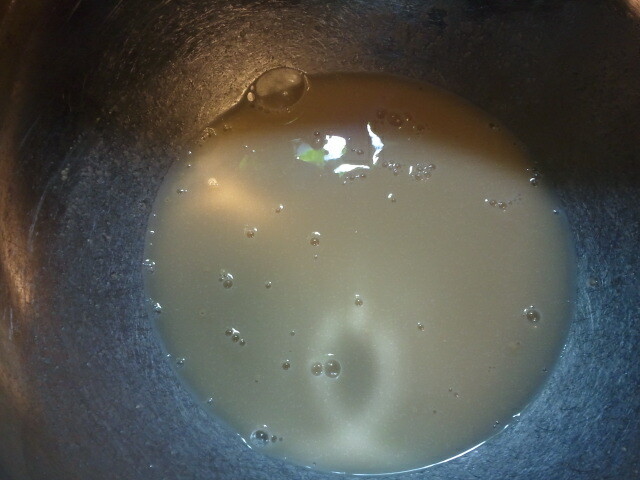 Soften yeast in water with a teaspoon or so of the sugar. Add butter, eggs and salt. Beat well. 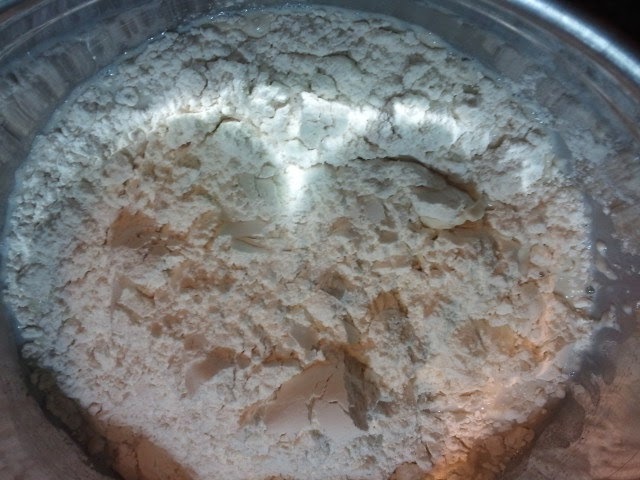 Lightly flour your counter and knead dough for ten minutes until smooth and satiny, adding flour only when needed to prevent sticking. Add small amounts at a time. 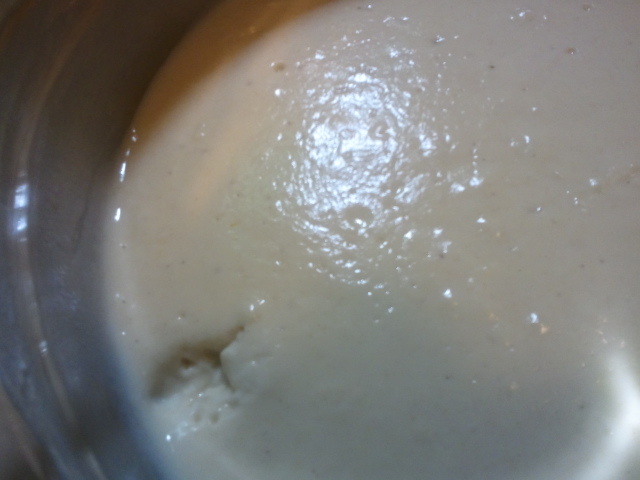 Place in greased bowl, cover with same towel and let rise until doubled in size. Punch down. Evenly divide dough into portions. (I actually measure out 55-60 gram portions of dough. Yes, really.) Let the portions rest 5-10 minutes. The portions are going to be a bit larger than a golf ball. 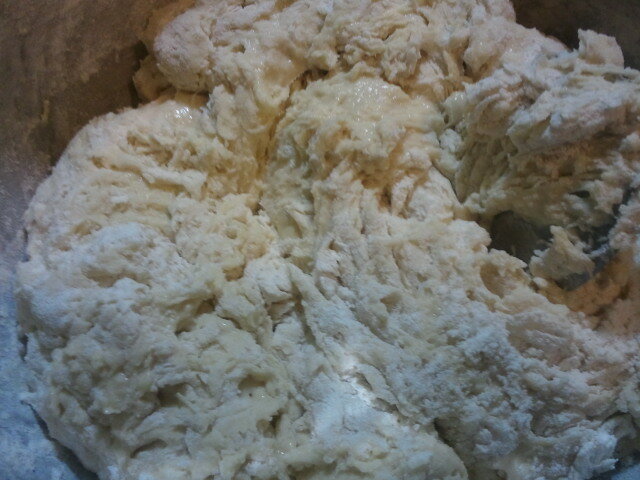 Shape into rolls and place in greased baking pan, sides not touching. Let rise. When they rise they will be touching. Bake at 375F for 10 minutes. Reduce heat to 350F and bake 10-15 minutes longer. 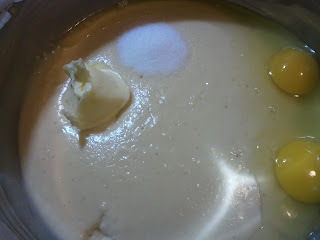 Turn out from pan and brush with melted butter. Those look VERY yummy! We can't bake right now since it's so hot, but I'll Pin it for the Fall! Following now from a Wednesday hop. Have a great Wednesday!! Thank you for stopping by. Followed back via all your links. You won't regret trying the rolls when it cools off. Have a great day too! Ps I would love to invite you to share these or any of your other favorite posts at Freedom Fridays Blog Hop (no rules and Live now). So hoping to see you there.